It’s Monday, and I think we all wish we could hop in and go back to Friday to enjoy the weekend all over again. 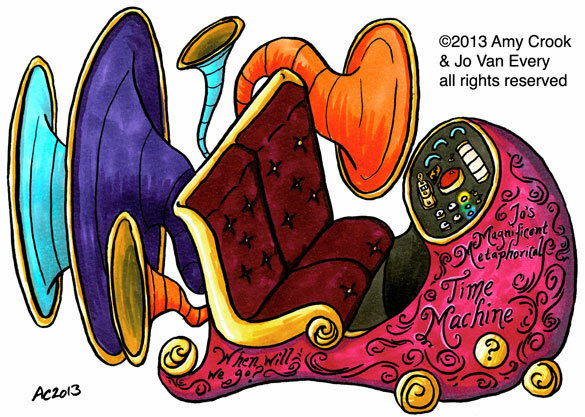 The delightful Jo Van Every has gotten another fun illustration, this time of the “time machine” she uses to help get clients to think ahead. 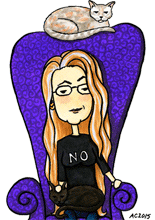 She wanted something colorful and whimsical, so I went for a Seussian version of the HG Wells creation. I’m not sure what all those big funnel-shaped things do, but I’m certain it’s timey-wimey stuff.